The PIglide HS planar scanner has magnetic linear motors, vacuum preload and an absolute encoder: Contact- and friction-free motion for the highest accuracy and reliability. 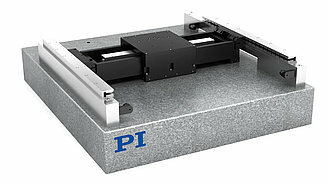 The positioning system was designed to both maximize the throughput and ensure the highest precision. 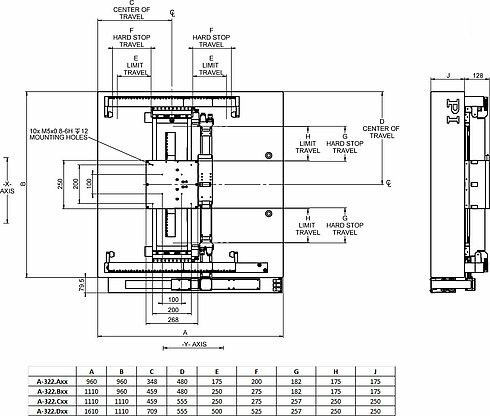 The flexible coupling of the bridge axis to the gantry axis allows lateral decoupling without sacrificing the stiffness of the system. 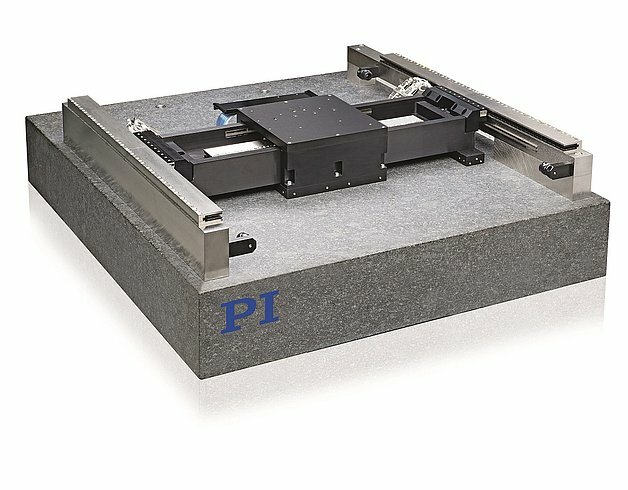 PIglide positioning systems are ideally suited for many high-precision applications, such as metrology, photonics, and precision scanning as well as in semiconductor or flat panel display manufacturing. 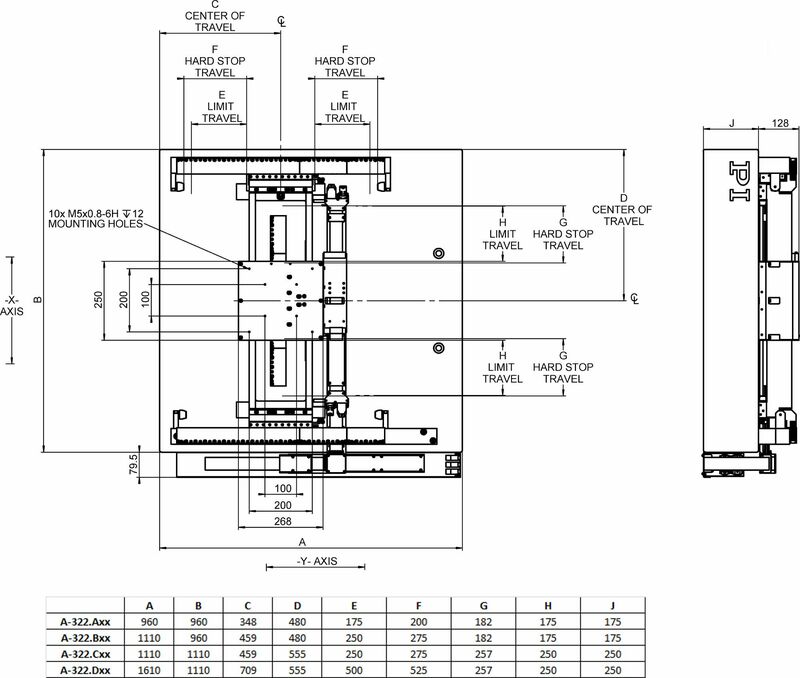 * # Improved accuracy can be obtained with controller-based error compensation. Stage must be ordered with controller. Accuracy values assume short-term time duration and do not consider the long-term effects of thermal drift on the stage. ** Can be limited by the insulating system payload, controller or drive. *** Assumes payload CG is centered no more than 50 mm above the stage table. # Specifications for the drive apply per motor. Two motors are located at the gantry axis. ## To protect the stage against damage, it is recommended to connect an air pressure sensor to the Motion-Stop input of the controller.